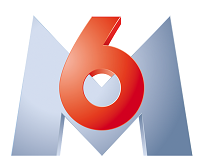 Entertainment TV Channel / M6 is the most profitable private national French television channel and the third most watched television network in the French-speaking world. M6 is the head channel of the M6 Group media empire that owns several TV channels, magazines, publications, movie production and media-related firms etc. It is owned by RTL Group. Other TV channels in the M6 portfolio include digital terrestrial channels W9, 6ter, and digital cable channels Téva, Paris Première TF6, Série Club, M6 Music, M6 Music Black, M6 Music Club, Girondins TV and M6 Boutique & Co.